Welcome to Cunningham’s Marine Centre. We sell new & used boats at great prices. 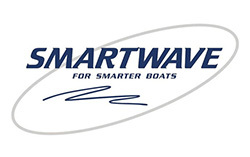 New sales of Bluefin Aluminium Boats, Revival Fibreglass Boats & Smartwave Poly Boats. We're located at Clontarf on the Redcliffe Peninsula, gateway to Moreton Bay & Islands, offering superb boating, fishing or cruising. Only 30 Minutes drive from Brisbane CBD, Just off the highway!